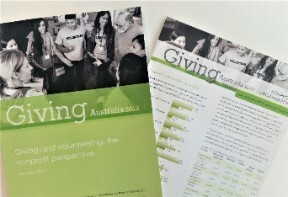 Released today, the latest report in the Giving Australia 2016 series: Giving and volunteering: the nonprofit perspective provides a detailed lense into how nonprofit organisations (NPOs) engage the community, business and philanthropic foundations. Findings from this report will be of particular interest to non-profit organisations involved in fundraising, volunteer recruitment, community business partnerships, and social enterprises. Most NPOs (94%) have volunteers. Some 63% actively recruited volunteers. However, only half have a dedicated volunteer manager (found to be the most useful resource for volunteer recruitment). The average number of volunteers per organisation was 71 and the median was 15. Three quarters of NPOs report having some sort of volunteer recognition in place, a marked increase from 54% in 2005. Three-quarters of the charities in this study had a website – but less than half of these were mobile optimised. Fifty-nine per cent of respondent charities used social media. Facebook was the most common social media platform (used by 55% of all respondents and 94% of those using a social media platform), followed by Twitter and YouTube. Community business partnerships were seen as elusive unless NPOs increased their knowledge, their profile in the business community, and their resources to staff such partnerships. Giving Australia 2016 – summary report. Giving Australia 2016 was commissioned by the Department of Social Services as an initiative of the Prime Minister’s Community Business Partnership. It was led by the Australian Centre for Philanthropy and Nonprofit Studies (ACPNS) at QUT with the Centre for Social Impact at Swinburne University of Technology and the Centre for Corporate Public Affairs.